If you are looking for the best deals on Apple’s coolest new Macs, iPads and iPhones, the Apple Store isn’t the best place to look. However, whereas other retailers can claim better prices, only the mothership can guarantee availability and generous support of the Product RED campaign. Apple gift cards can be spent at the iTunes Store, the Mac App Store, the iOS App Store and/or the iBooks Store. In addition to better device availability, your Black Friday Apple Store also delivers a generous sense of giving. 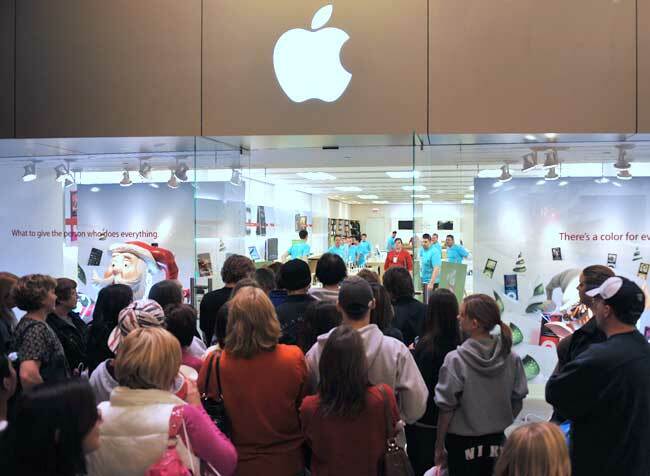 For example, on Friday, November 28 (aka Blac Friday) all US Apple Stores put special Product RED gift cards in the hands of customers that purchase select products. Further, on Monday, December 1, aka World AIDS Day, Apple will donate a portion of in-store and online sales to AIDS research and prevention. Bottom line? This year’s Black Friday Apple Store deals are the same, but the company has sweetened their offers by donating to Product RED.